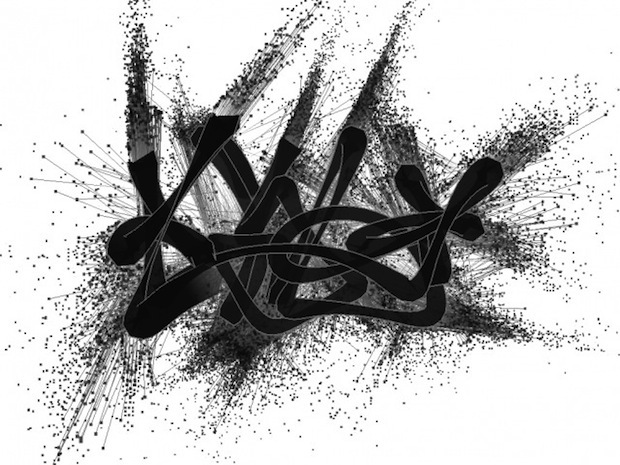 Evan Roth, one of the minds behind the Eyewriter–a system for allowing the paralyzed to draw–has released his newest project: Graffiti Analysis 2.0, a database capturing the complex calligraphy that goes into creating a tag. The idea is to move beyond archiving graffiti simply by photographing it–instead, documenting it in code, to reveal the choreography involved in the writing. Roth starts by doing motion capture of a graffiti writer at work. Then, he posts that data–along with a standard for decoding it–on the Web. From there, anyone can create a visualization of the data, showing how a tag reveals itself in real time–basically, revealing the tricks of the trade, involved in creating one sinuous, looping tag. So far, a half dozen influential writers have been motion captured–SEEN, TWIST, AMAZE, KETONE, JON ONE, and KATSU–and you can watch the animations in a nifty flash viewer and even a free iPhone app.